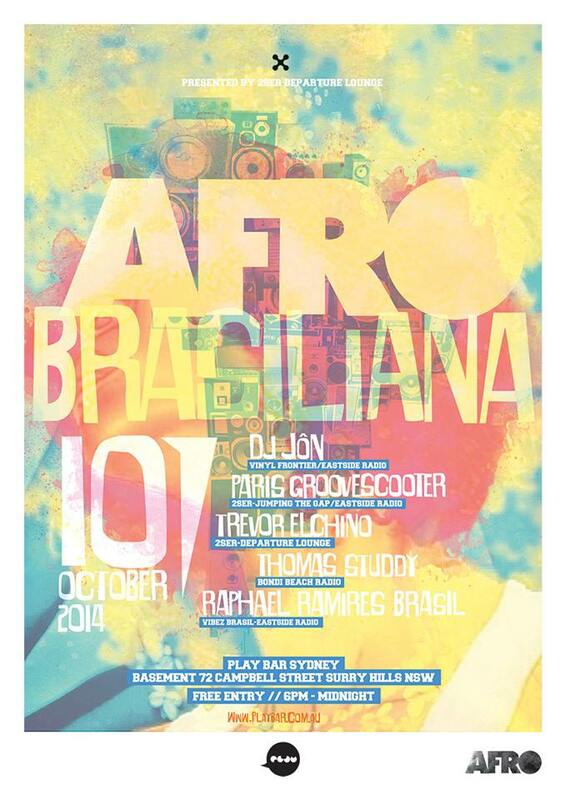 THIS FRIDAY: Afro Brasiliana at Play Bar feat. DJ Jon, Paris Groovescooter, Trevor Elchino, Thomas Study, Raphael Ramires Brasil | Afro-beat, Funk, Latin Breaks | SOUL OF SYDNEY FEEL-GOOD FUNK SOUL DISCO vibes & beyond. THIS FRIDAY our good friends over at Departure Lounge Radio (2ser) will throw down the global rhythm goodness at Afro Brasiliana. Music / Afro-beat, Latin Breaks, Global Funk Rhythms and beyond.